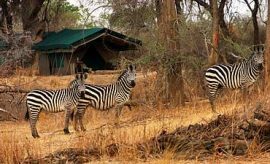 Want An Adventurous Safari In Ruaha? Scroll Down For Activity Details.. The finest way to make the most of your dream trip to Ruaha with AfricanMecca is the ever popular game-viewing drive, conducted in a comfortable customized people carrier with tiered seats. Shaded by a raised awning, you can stand or sit with panoramic coverage of all the action. On a photo safari in Ruaha, you may take game drives in the morning or late afternoon, or even make full day excursions to particular habitats, such as hippo and crocodile pools beside the Great Ruaha River, or the rich avian haunts of eagles in Mdonya Gorge and waders in the Matopotopo Swamps. Your guide calls on his lifetime experience of the animals you want to see, augmented by insider information exchange on tracks and sightings by two-way radio with other like-minded guides. On game-spotting vacation in Tanzania, this is the way to track down such wonders as the coursing packs of rare African wild dogs with garish black, white, and tan fur which enables them to melt into the shadows of sunny miombo woodland. Their weirdly prominent, large, erect round ears pick up every whisper of movement. Painted dogs cover many miles in a hunt, communicating with bird-like yelps to coordinate their strategy. They bring down over 80% of their selected prey, compared with the lion’s success rate of only 30%. Prides of up to 24 lions snooze on the sandy Mwagusi River bed, and rangy cheetah mothers can be spotted with their hungry cubs around rocky kopjes on dry grassland as they wait to ambush a careless antelope. Burnished sable and stocky roan antelopes, Defassa waterbuck and stiff-maned greater kudu with soft beards and magnificent spiral horns are among the rarities to be found. 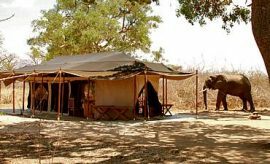 Some Ruaha camps conduct authentic Tanzanian walking safaris with armed guards and guides to teach you to distinguish tracks, wildlife carcass, estimate the age of dung by beetle activity and identify useful herbs. 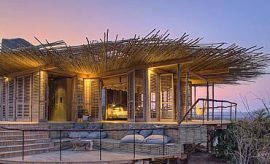 You can also enjoy armchair safaris from the comfort of your verandah, lounge or bar, watching the varied wildlife that roams freely about the grounds, sand rivers and waterholes close by. 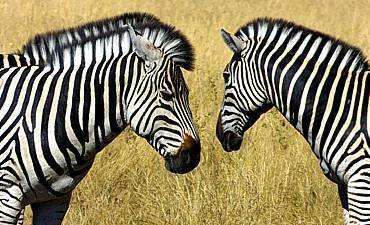 Elegant zebras, stately giraffes, ponderous elephants, amusing warthogs and family orientated baboons all congregate fearlessly in sight. 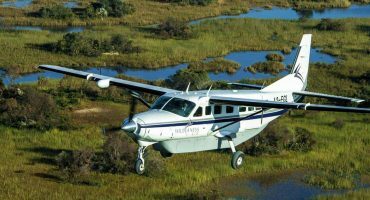 A few camps in Ruaha offer fly-camping expeditions for the more adventurous. 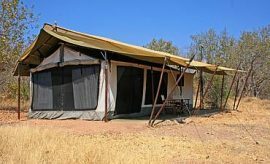 You can accompany a guide and park ranger to immerse yourself in exciting awareness of the immediacy of African safari life, carrying your lightweight tent through pristine wilderness like earlier explorers who had only the transport of their own two feet. Such close contact with the wonder of Ruaha cannot fail to charge your soul and change your perception of authentic travel in Africa, teaching you invaluable lessons about yourself and about the world around you. 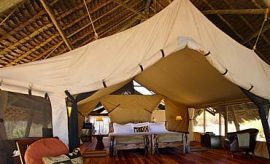 At Jongomero Camp, you will experience the ultimate in luxury living in an isolated setting in the southern wilderness. The less opulent Mwagusi offers a charming accommodation sited at a sand river. Ruaha in southern Tanzania is one of the most awe-inspiring and untouched African safari destinations. An incredible total of 64 mammal species inhabit the park, including varied predators and prey. 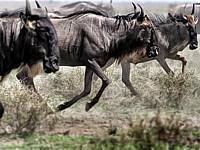 Ruaha is accessible all year round, with most visitors arriving to tour in the dry season from June to October, when game congregates around water sources. The wet season runs from November to May. Ruaha was everything we had hoped it would be. We couldn't imagine a trip there without visiting Ngorongoro Crater and a combination of Ruaha and Selous. 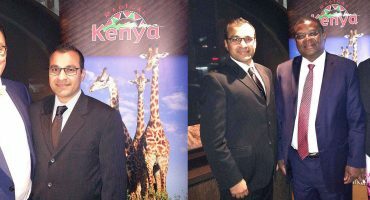 Our thanks to the AfricanMecca team and Raza for a most exceptional trip! 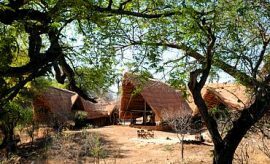 When visiting Ruaha National Park, we recommend combining it with offbeat parks in Southern and Western Tanzania such as Selous or Katavi ending with a chimpanzee trekking safari at Gombe or Mahale. 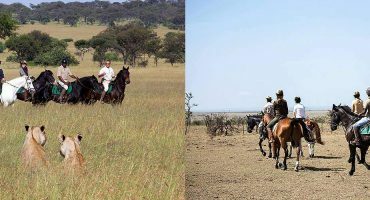 You may optionally extend out to Northern Tanzania safari parks such as Tarangire, Lake Manyara, Ngorongoro Crater and Serengeti (wildebeest migration). End your trip with a Swahili cultural tour and beach holiday in Zanzibar. 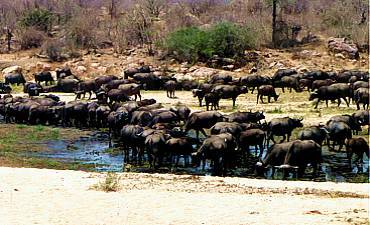 ARE YOU PLANNING AN AFRICAN SAFARI TO RUAHA IN TANZANIA? HAVE YOU VISITED RUAHA FOR AN AFRICA SAFARI IN TANZANIA?